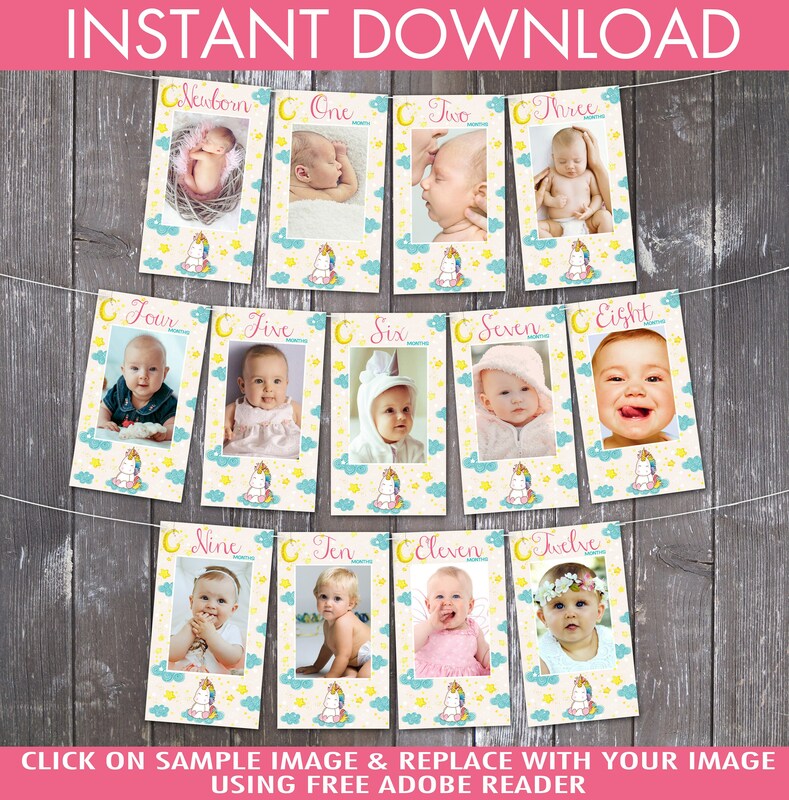 (¸.·´INSTANTLY DOWNLOAD and replace photo with your own photo in this UNICORN FIRST YEAR PHOTO BANNER printable. Then print & create at home as many times as you like. 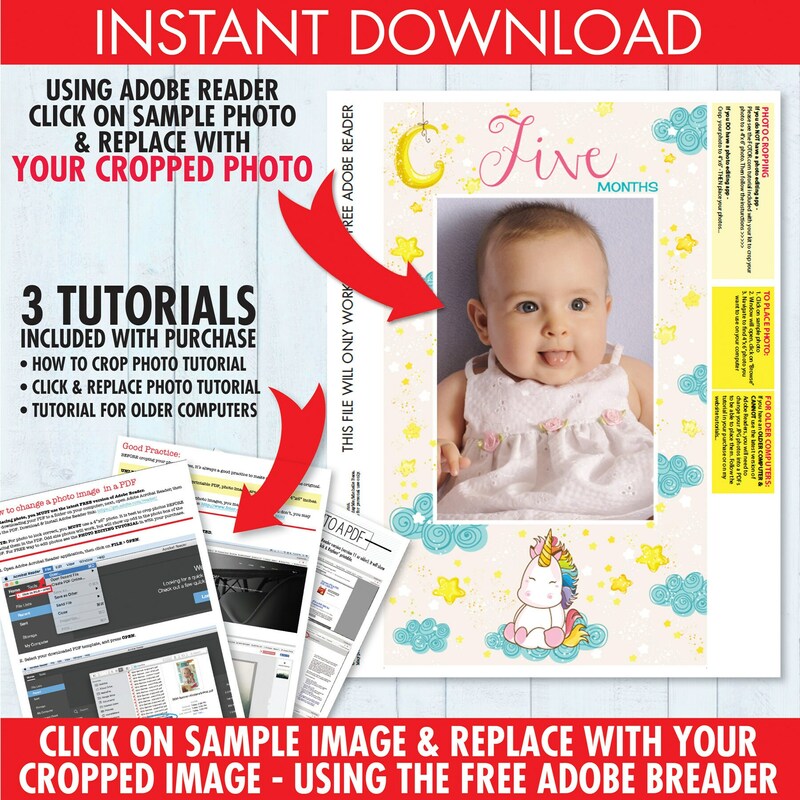 3 - REPLACE PHOTO - open PDF with the free Adobe Reader; CLICK on sample photo; navigate to find your 4"x6" photo; click SELECT to use your photo. REPLACING A PHOTO, will ONLY work when using Adobe Reader on your computer or laptop. 5 - CREATE & SHARE... Trim your printables after printing... then share. → PDF printable files do NOT work on mobile devices or tablets. → All PDF Printables are locked & password is not given out. 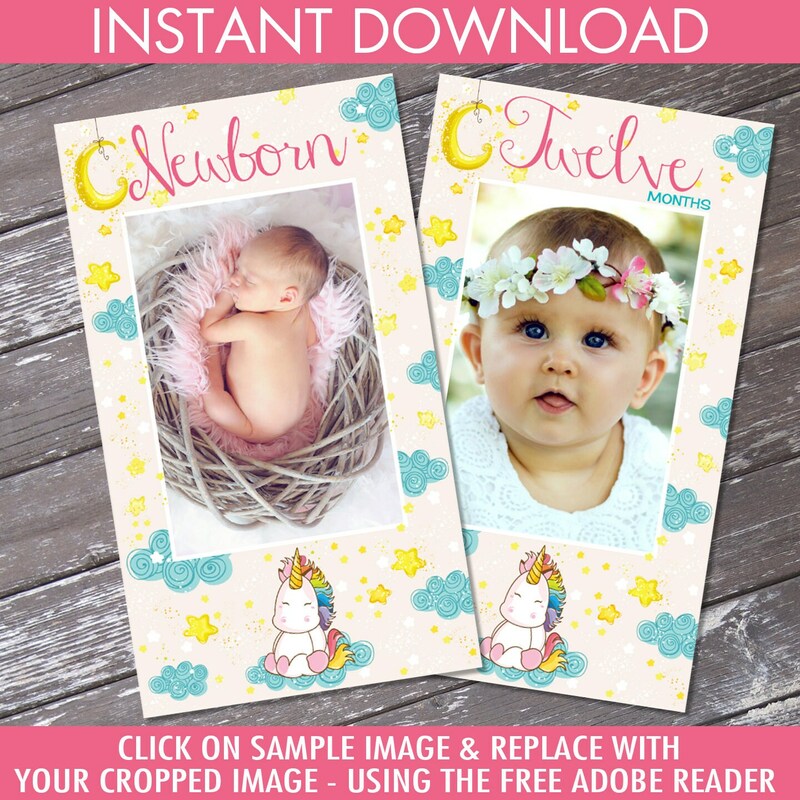 → Printables are ONLY editable with the FREE Adobe Reader... and will NOT work in other applications. → To photo ONLY use FREE Adobe Reader. → Sizes, graphics & background cannot be changed/edited. → Mac users, please use the FREE Adobe Reader - do NOT use Preview. → Do NOT use Chrome Browser to edit text. → Formatted to fit 8.5"x11" or A4 paper. → 110 lb card stock is recommended. → Print as many as you need. Super easy, love how everything came out. For all users, I used picmonkey to alter my image to 4x6 and it was perfect.